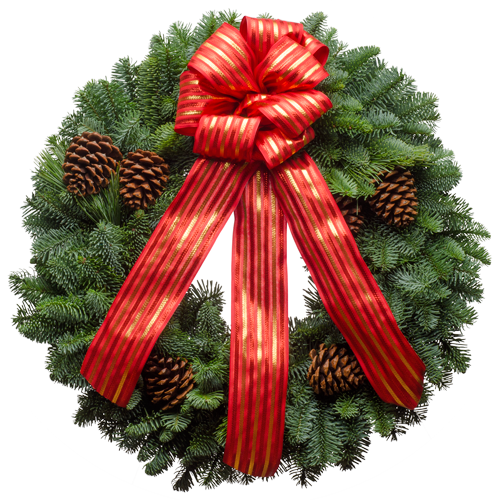 This Christmas wreath has a shiny red ribbon that will bring a gleam to the eye of anyone that loves things that sparkle and shine. Add the rich evergreen scent of the Cascade forest, and you have a beautiful Christmas wreath that is a symphony of the season! "Your great service at Christmas Forest really takes the worry and leg-work out of sending a lovely Christmas gift."